This paper introduces a formal description of the operational semantics of multiagent organizations expressed in the Aalaadin generic model. This formalization is based on the π-calculus and the Chemical Abstract Machine (Cham). By mapping an agent to a set of π-calculus processes and groups to Cham solutions, we show that it is possible to associate a precise semantics for the definition and dynamics of agents, groups and roles, independently of any implementation. 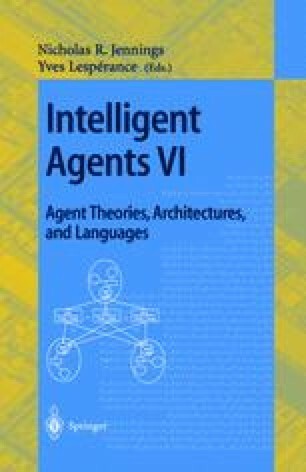 Our show that formalization verifies the properties of Aalaadin: agents act in several groups simultaneously, communications are described through abstract roles interaction, and organization management is performed by agents.